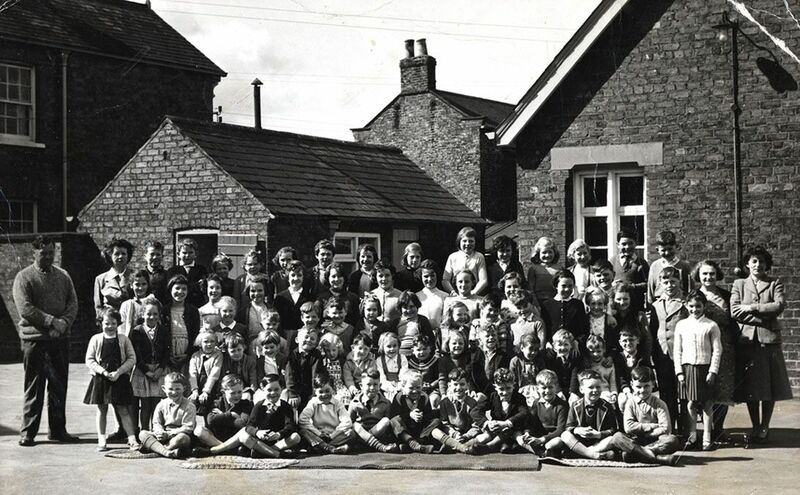 This picture of the whole school dates from c.1960, before the move to the new school. On the left is headmaster Mr Richard Thomas; next to him, Mrs Leadill and on the far right back, Mrs White and Mrs Watson. If you can help name the pupils, please get in touch!